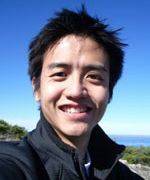 Kelvin skipped college to start a software company in Singapore, picking up Java along the way. His first app was a digital asset management system where he was first introduced to the world of search and Lucene. He currently lives and works at a meditation center on the west coast of the US.